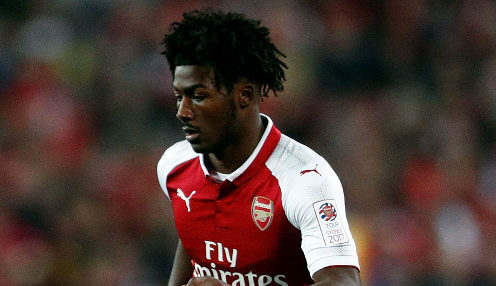 Ainsley Maitland-Niles says he is raring to go under Unai Emery after signing a new Arsenal contract. The 20-year-old enjoyed a breakthrough season, making 28 appearances as he demonstrated his versatility by featuring at wing-back or full-back and in midfield. Having originally joined the Gunners as a nine-year-old, he has now signed a new long-term extension to his previous deal. It feels fantastic knowing that I'm going to be a part of the squad. It is all change at the Emirates this summer, with Emery taking over from Arsene Wenger and the Spaniard has shown throughout his career that he is not afraid to put his faith in youth. Despite plenty of new arrivals being on the agenda, Maitland-Niles says the boss has already discussed his role in the side for next term. After two seasons out of the top four, Arsenal will be chasing a return to the Champions League and are 4/9 to achieve their goal, while they can be backed at 4500/1 to win the Premier League. The versatile younger admits he is excited about working with the new coach and is confident he can slip right into his system. "You don't really hear a lot of young players being shouted out by their managers, especially a new manager who hasn't really seen them play too much," Maitland-Niles told Arsenal Player. "I think it's brilliant to hear from him and it gives me a load of confidence. "It feels fantastic knowing that I'm going to be a part of the squad, and a big part of the squad. It means a lot with the new head coach coming in and Arsenal tying me down [with a new contract]. I'm very pleased. "We had a little meeting. He said that he wants all of his players to work hard and I'm no stranger to doing that. It will be second nature to me."